Since starting Oh My Veggies, I’ve had a few readers ask me if I used or recommended buying a Vitamix blender. Vitamix sells a package, the TurboBlend VS, that’s targeted to vegetarians, vegans, and raw foods enthusiasts and I suppose that’s why the question comes up. But until now, I haven’t been able to answer it. And in all honesty, I always thought I was set with my hand blender and food processor. When our previous blender broke several years ago, I didn’t see the need to replace it and we got along fine without it–the hand blender worked great for soups and soft smoothies, and I used the food processor for everything else. The problem with this comparison is that my old blender wasn’t a high-powered one. It was clunky, things would never blend very well, and it had a tendency to leak everywhere, which is what ultimately did it in–it leaked into the vent in back and stopped working. 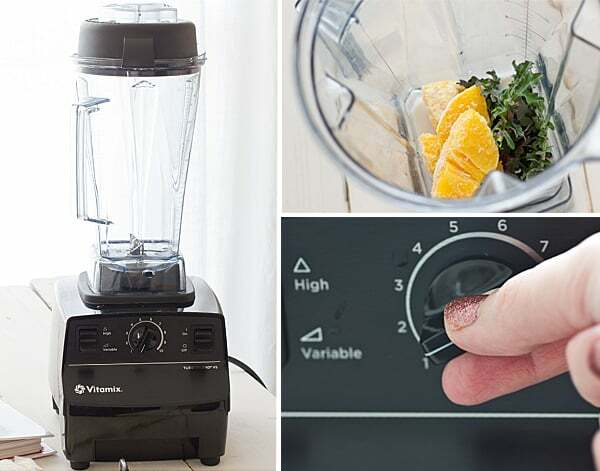 A blender like the Vitamix TurboBlend has a stronger motor and sharper blade, allowing it to blend more thoroughly and a lot faster too. And it shows in the price–the Vitamix TurboBlend VS is $449. That’s a lot for any small kitchen appliance, particularly a blender. When making smoothies with frozen ingredients, I had been using my food processor. 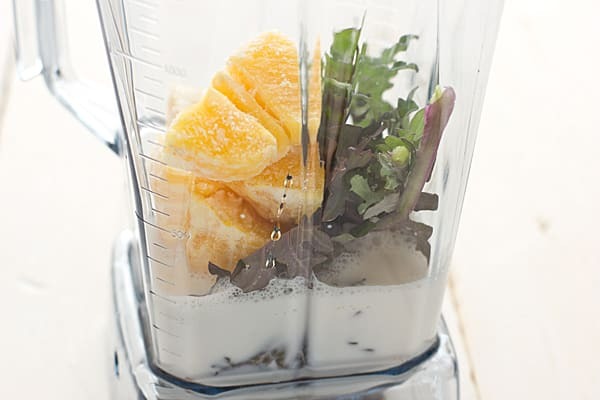 The Vitamix performs much better–it blends everything smoothly in much less time than it takes with my food processor. The tamper definitely helps! Instead of having to scrape down the sides of the food processor, I can use the tamper to push any chunks of fruit towards the blade. For this same reason, I prefer the Vitamix for dips, sauces, and spreads–you can use the tamper while the blender is on, whereas with a food processor, you have to turn the blades off, take off the lid, and scrape the sides of the container every so often. So smoothies, dips, and sauces are definitely better with the Vitamix. But my biggest disappointment with the TurboBlend is how it compares with my food processor in making almond butter. I was really hoping that I could use the Vitamix for that because, while my food processor does a great job making nut butters, it takes a little time and I’m crazy impatient. I had trouble getting the Vitamix to cooperate when I wanted to use it for almond butter, though. I followed their instructions to a T and the blade kept getting stuck. Using the tamper only made it worse–it compacted the almonds. I tried loosening them and then the motor stopped completely. I was sure at this point that I had broken my blender, but luckily the Vitamix has a safety mechanism that will shut off the motor if it’s in danger of overheating. This is good news for my TurboBlend, but bad news for me–I wanted almond butter! I had to finish it in my food processor. Although I haven’t tried it, you can make heated soups in the Vitamix–the blender will actually heat your soup as it purees. This completely blows my mind. The blender! Cooks! The soup! But for soups made on the stovetop, I will continue to use my hand blender, simply because it’s much easier to stick that in a pot of soup than transfer it in batches to my blender. But with smoothies, the Vitamix outperforms the hand blender. When I make smoothies with soft ingredients, I like to use my hand blender. It works well, but the Vitamix gets the smoothie a lot smoother much more quickly. What really amazed me was using raspberries in it–there was no trace of seeds left when I was done making my smoothie. The Vitamix TurboBlend VS can also be used as a juicer. 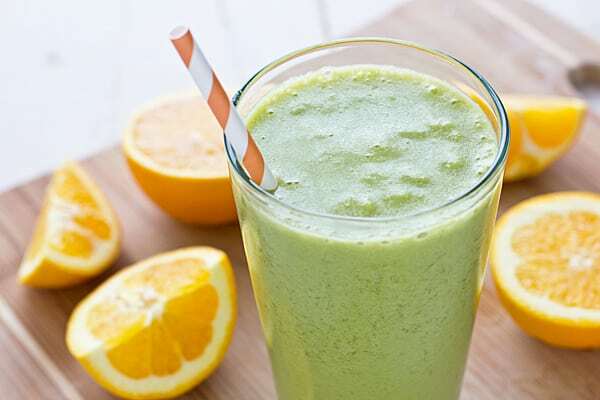 I don’t have a juicer myself, so I have no basis of comparison, but what I like about the Vitamix is that it allows for whole food juicing, keeping the fiber in the drink. (If this really bothers you, you could strain it through the filtration bag, though.) This could be a plus or a minus, depending on how you like your juice. Some people like traditional juicing because they feel they get more concentrated nutrients without the pulp, while I’m more in the “I don’t want to buy $10 worth of produce for 6 ounces of juice” camp. The VS in TurboBlend VS stands for variable speed, which is a feature I really love. I know some other blenders have buttons to adjust speeds, but I like the control the variable speed dial gives me. The TurboBlend VS comes with a recipe book, an instructional DVD, a tamper, and a filtration bag. Most of the recipes included in the book are suitable for vegan and raw diets. So should the Vitamix be a staple in every vegetarian or vegan kitchen? I’d say no. If you break out the blender two or three times a year to make margaritas, you can make due with a lower priced model. But if you drink a lot of smoothies, want to get into juicing without buying a dedicated juicer, or are a cooking enthusiast in general, I think the Vitamix TurboBlend VS is a good investment. From the research I’ve done, it’s not uncommon for them to last decades, even with frequent use. I’ve definitely upped my smoothie intake since getting my Vitamix and this recipe is my absolute favorite. Green smoothies are one of those things you either love or hate, but I think this one could win over some haters. Because who doesn’t love dreamsicles?! 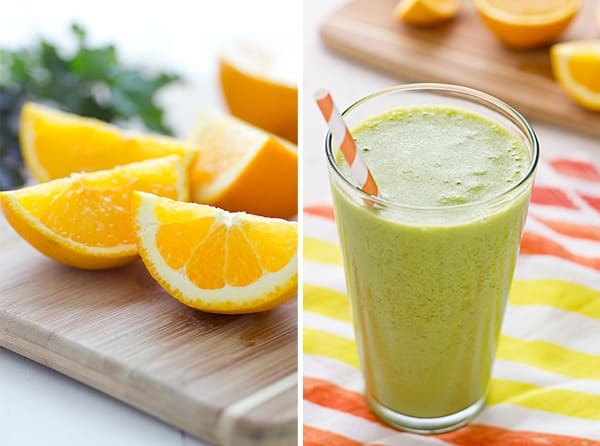 Using frozen orange wedges in this healthy green smoothie makes it thick and creamy. Combine all ingredients in blender, pouring milk in first. Using the variable speed dial, start out at 1 and slowly increase speed to 10. Once large chunks have been pureed, switch to high speed and continue to blend until completely smooth. Disclosure: I received a Vitamix TurboBlend VS for the purpose of this review. For anyone on a budget, I’d suggest checking out the BlendTec website. Several yrs ago I bought a reconditioned BlendTec that I use every day for much less than a new one — and it came with the same guarantee! BlendTec will do everything a Vitamix will do, plus it fits on your countertop.